UN Secretary General Antonio Guterres has warned that a US withdrawal from the 2015 nuclear deal with Iran is fraught with war. "If one day there is a better agreement to replace it, it's fine. But we should not scrap [the deal] unless we have a good alternative," he told the BBC on Thursday. "We face dangerous times," he emphasized. The UN chief voiced his concerns just a day after White House officials said President Donald Trump had all but decided to walk away from the 2015 Iran nuclear accord by May 12. If the landmark nuclear deal is abandoned, diplomats have warned, this could trigger a backlash by Iran which could resume its nuclear program. Iran’s ambassador to Britain, Hamid Baeidinejad, went on record Wednesday warning that if Washington withdraws from the agreement, Tehran could resume its uranium enrichment and “redefine our cooperation with [the IAEA] and some other activities that are under consideration." "When the United States is out of the deal, it means that there is no deal left," Baeidinejad said in an interview with CNN. President Trump has less than ten days now to decide whether or not to renew "waivers" suspending some of Washington’s sanctions on Iran. A White House official said, speaking on condition of anonymity, that Trump might stop short of “a full pullout’’ from the agreement. He gave no further details. Trump’s desire to withdraw from the nuclear deal could have been strengthened by Israeli Prime Minister Benjamin Netanyahu’s presentation on Monday where he claimed to have documented evidence of Tehran secretly continuing elements of a nuclear weapons program even though IAEA inspectors say that Tehran is in full compliance with the terms of the accord. 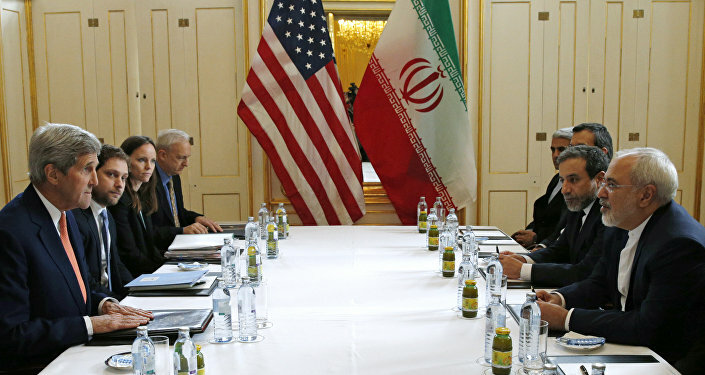 The Iran nuclear deal, known as the Joint Comprehensive Plan of Action (JCPOA,) signed by Tehran and the five permanent members of the UN Security Council – the US, France, Britain, Russia and China – plus Germany on July 14, 2015, imposes strict restrictions on Iran's nuclear program in return for the loosening of economic sanctions. Iran has always denied it sought a nuclear weapon and accuses Israel of stirring up world suspicions against it.